It has been seen time and time again, student athletes that play sports all year-round because, depending on the division of the school, they receive scholarships, endorsements, or social popularity. For Division III athletes it is purely for the joy of the game. 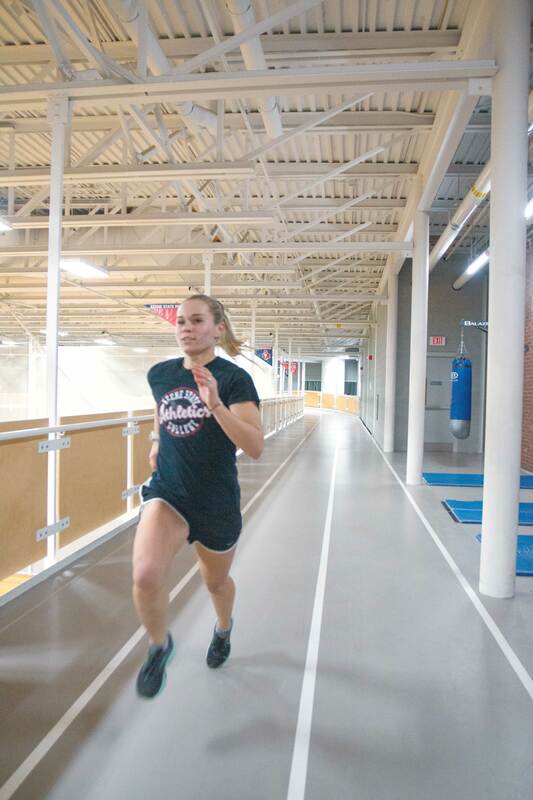 Senior Taylor Bisaillon has competed on the Women’s soccer team and on the Women’s Track and Field team since she transferred to Keene State from Albertus Magnus College after her first year. “It definitely can get difficult at times to be an athlete year-round both physically and mentally, but I like having the structure. I really like keeping myself busy,” Bisaillon said. “I think it’s important to take advantage of the having the ability to do the things you love to do while you can. This is my last season of being a college athlete and I know I am going to miss it,” said Bisaillon. Bisaillon said that ending soccer was “bittersweet” because of the start of track season shortly after. “You never want to see it end, but it was nice to be able to have the transition into track so it wasn’t as sad and I had a distraction. This year in track I just want to better improve upon myself from last year, and that’s all I can really hope for. Coming first place in the LEC for an event either running or throwing wouldn’t be bad either” said Bisaillon. Bisaillon said track and soccer have a very different feel to them, soccer being more of a team oriented sport while track is more improving individually. “Track has more of a singularly effort and feels more rewarding in the individual sense, but everyone is still super supportive and wants the best for each other. Track is also a lot more about improving individually than as a team but everyone helps encourage through the hardest of workouts,” Bisaillon said. Taylor Bisaillon and the rest of the Owls will be competing at the Rhode Island College Invitational on Saturday, December 8, with a start time of 11 a.m..